With pretty much every type of accommodation available, you will find just what you are searching for when looking for the right type of accommodation on Phillip Island. Come for the night, plan a holiday with the kids, enjoy an extended holiday in a range of luxury accommodation or book some wonderful budget accommodation to suit your travel needs, as there are a number of different location and various types of accommodation to perfectly suit all travellers that are looking to discover the sights and delights of Phillip Island. Your chosen Phillip Island accommodation will place you perfectly so that you can easily enjoy all of the attractions and activities that the island boasts, from its pristine beaches, the famous penguin parade, annual Grand Prix Racing and V8 Super Cars, interesting shopping, markets and variety of wildlife from seals, bird’s, penguins and koalas. Be moments away from the wineries and wonderful dining options, be just a hop step and a jump from the wildlife parks and conservation centres and easily access the endless amount of family fun to be had on Phillip Island from your preferred accommodation. With the connecting bridge from San Remo and only being a quick 90 minute drive from Melbourne you can choose to bring your caravan or motorhome over to Phillip Island and book a site at one of the caravan parks or perhaps even pitch a tent for your holiday accommodation. With great onsite facilities and things to keep the kids entertained this is a great option for budget accommodation close to everything. You may also be interested in the cheap hotel rooms, motels and motor inns for anyone looking to stick to a budget and with a couple of hostels on the island, backpackers can easily find a dorm bed to crash in for the night. There are luxury resorts, family apartments with plenty of room to move, ocean views suites and exclusive retreats. Why not book into a holiday house with direct access to the beach for your trip to Phillip Island or arrange some accommodation at a secluded cottage where peacefulness and tranquillity are key! There are spa retreats and well being centres where you can be pampered and indulged from the moment you arrive, boutique bed and breakfast offer a personal touch to anyone’s holiday and there are holiday accommodation properties on Phillip Island that provided everything from a kids pool, child minding services, games room, cocktail bar, pool bar, fine dining restaurants, room service, day spa, tennis courts and spacious apartments. Have your accommodation overlooking the beach, close to one of the wineries or within walking distance of the annual racing tournaments and chose from deluxe suites, town houses, guest houses and luxury resorts. 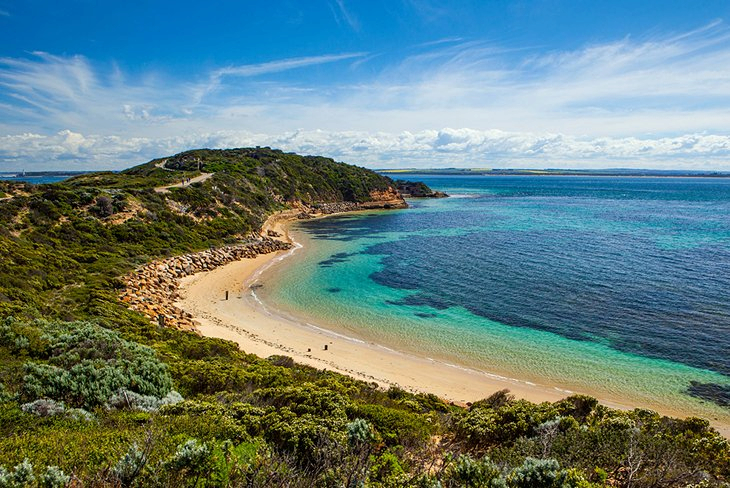 With a range of accommodation specials, holiday packages and deals that are all include with many different types of holiday accommodation you can find just what you are searching for with the right price tag attached for your trip to Phillip Island.